Most teachers don't enjoy using play-doh. It's messy. The kids mix the colors. The kids may eat it. We don't have time for it. It dries quickly. Kids with sensory issues don't like it. I sit here writing this while my 3-year-old makes a "flesh-eating penguin" (his words, not mine! Certainly he didn't learn that from me?!) out of some peppermint play-doh. It's soft. 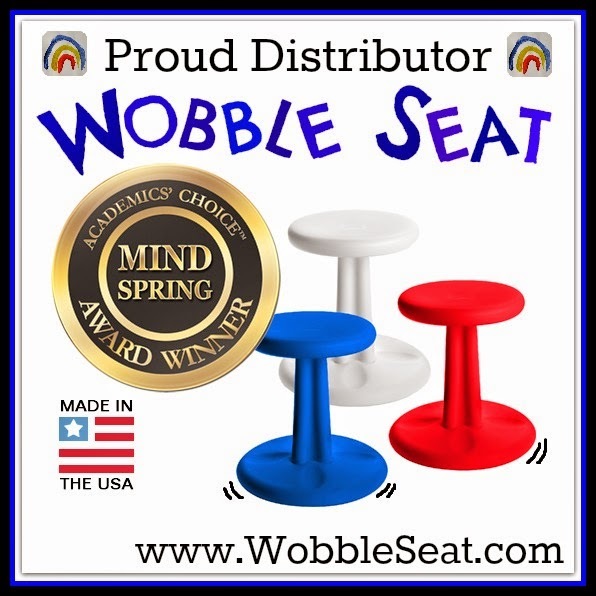 It's super-pliable, and we LOVE it! Besides the creativity that abounds from a lump of play-doh, there are other obvious "plusses" to this "go-to" indoor activity! Play-Doh provides fun while increasing strength of those intrinsic muscles in their hands! It's great for dexterity and fine motor skills! It strengthens neuro-transmissions in the brain!...in other words, Play-Doh is supercalafragilisticexbealidocious! 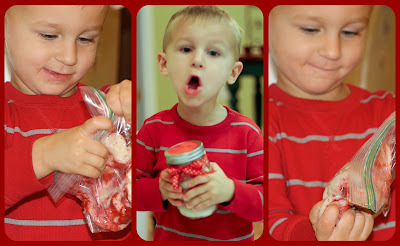 Here is my wunnerful no-dry super-soft peppermint play-doh recipe! The trick is in the cream of tartar and the vegetable oil...it's the BEST recipe I've ever used! 1. Mix flour, salt, & cream of tartar in a medium cooking pot. 2. Add water, peppermint extract and oil. 3. Stir over medium heat 3 to 5 minutes stirring constantly. 5. Knead until smooth. I use red food coloring to make some red and leave some white as well. 6. Store in any air-tight container or bag, or decorate to give as gifts---like me! Now, beside this stuff being completely awesome and cute, there are some teaching extensions that you can use to make it classroom-worthy! Smell and Build: the aromatherapy of the peppermint extract will fill your classroom with this calming scent! Peppermint has been used as a calming agent for hundreds of years...it may be just what you need for your energetic kids on a cold day right before Winter Break! Encourage your students to describe the smell with words. Talk it Out: If you make the play-doh with the students, ask process questions while you're making it: "What will happen when we add the red food coloring?" Bead It: use these math mats! Have the kids roll the play-doh up into balls and practice counting! Just Beat It: Playing with and pounding on play-doh can offer all children a healthy and safe outlet for releasing extra energy and expressing their feelings! Still think that play-doh is just for fun? Check out this article in Young Children Magazine from 2005 outlining the pros to play-doh! Play-Doh isn't just for child's play anymore...it can be a useful, tangible, therapeutic learning tool that you can use in your classroom! Do yourself a favor...and do your kids a favor...and plunge into some peppermint play-doh. You'll be glad you did, and you'll be hooked! Joanna Davis is a National Board Certified Art Teacher and teaches at Garden Elementary School in Venice, Florida. She is a mom to two young, energetic boys, and sometimes besides kneading play-doh for therapy, she takes peppermint bubble baths! Toys in the Dryer blog hop! If I've left you off, my apologies, I think the peppermint is getting to my brain! Leave me a comment so I can right my wrong! We love playdough over here too! I plan on giving some as Christmas gifts this year! I love the idea of storing it in a mason jar. I love this! Thanks for visiting my site. 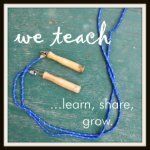 I tried to copy and paste the Montessori link to my site but couldn't get it to work. I don't know if there is a limit as to how much i can put on my right column? Can you give me the link address again (forgot where I found it) and I'll try again. Thank you! I'm your newest follower!!!! What a great idea! I've been wanting to make my own play doh to use at home. I really want to try this! As a home daycare provider, I LOVE play dough!!! Not a big fan of glitter, but we play with playdough a lot here! Love yours! I'm planning on making some for Christmas. Thanks for sharing!! this is such a great idea and such a fun kid's gift. 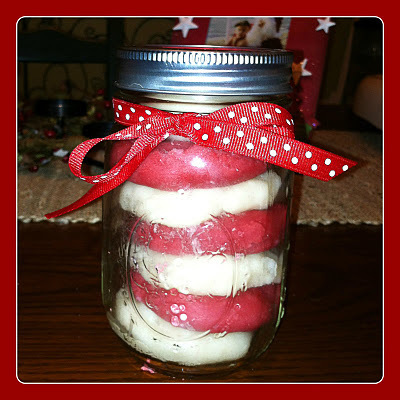 I, too, have a candy cane play dough recipe bookmarked and can't wait to make it! Thanks for linking those mats - those are great! Wow this is awesome and just may try it! I just used your recipe and I was so amazed at how easy it was and how awesome the play dough turned out! This is my first year as a preschool teacher and this recipe just made it go a little smoother! I decided to use baby food jars to put it in and give one to each of my students as christmas presents! Thank you thank you thank you! Joanna....I love how this activity integrates our sense of smell and our kinesthetic sense of feel. Being a pianist, I can tell you that this activity would really help our little future pianists! My wife, who's a concert pianist, also agrees.... It's also lots of fun and fun is not fluff....thank you for sharing! does it matter if i use "all purpose" or "self rising" flour for this playdoh recipe?! and can i substitute reg vanilla extract for the peppermint? or maybe almond? thanks!! Thanks for the idea of adding peppermint scent to the playdough. The cream of tarter recipe is my favorite too! Here are two resources: check out the science in making playdough at The Early Years, a National Science Teachers Association blog. MaryAnn F. Kohl's book, Mudworks: Creative Clay, Dough and Modeling Experiences, has recipes in the "cooking", "no cooking", "air dry", "bake dry", "edible", "caution", and “adult supervision always necessary” categories. I used the same recipe for peppermint play dough last weekend. All I had on hand was 100% whole wheat flour. Turned out INCREDIBLY sticky! Nasty stuff. Bought some white flour tonight & will try again! Happy New year! My boys just love play dough and received a lot of new play dough toys for Christmas. 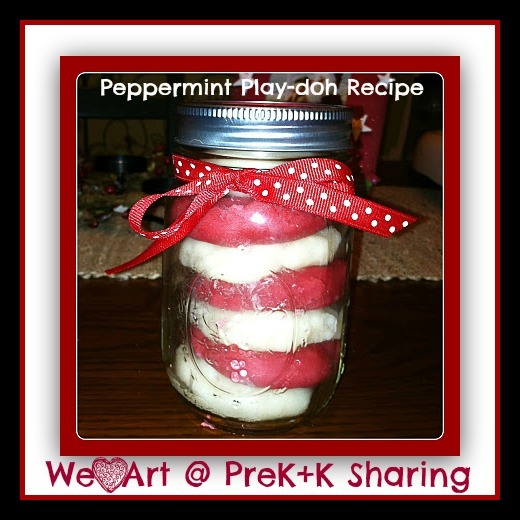 I love the peppermint idea for Christmas, must save this idea! I pinned this and it went crazy. Love it . 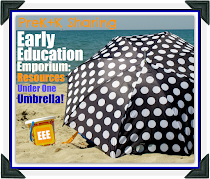 Hope you will visit my blog sometime: Kindergarten for Teachers and Parents. Have a wonderful day. Children will definitely love this peppermint play dough. Thank you for sharing your ideas with us. Keep posting.